How to choose a name for your personal email address? Today we are back with a very interesting article on “how to pick a good email address name idea ” for your personal or business needs. There are a good number of blogs which inspire us to write great blogs. Today’s blog is inspired by this website shoutmeloud. (Harsh Agarwal). Keep reading how to choose your personal and good email address. Choosing the best email address names is little difficult these days because if your name is common, your email address name might already be someone else’s. However, if you are still determined by making a personal email address using your name, you can do so by ensuring some practices; which we cover in this article. Feel free to read the article, and if you have any ideas to improve the article; please write to us. Which is the Best Domain Name Registrar 2017? Hello, viewers! I hope you all are doing quite well. We have so much discussed blogging, make money online, website optimization tricks, make blog job and etc., that you must be wondering what else is left. Well, the world of blogging is so vast that even if we write thousands of articles covering even one of its niches, it still would be incomplete. The blogging world is evolving and every day something is new up for grab, so as dedicated bloggers we need to keep ourselves updated and hence should keep on reading new posts. Anyways, today we have something different to write which is directed not related to blogging but it has a great impact on its own. We all have it, in so many name formats, from different service providers. – I’m talking about email address – to be specific, personal email address and good email name ideas! 3 How to choose your personal email address? A personal email address ideas often throw before us so much nostalgia – perhaps associated with the first one. Those of you, who are born in the 80s would even relate to it better. Today, anyone from anywhere even using a little handheld device can make an email address, of course after some choosing. But during the 80s when the Internet was in its booming stage, we used to be so much enthralled once an email address was created. I still remember my first email address name was created by a friend who took me to a cyber café. For me, he was a hero who knew everything online. Once my email address was created, I was very glad because I knew I now can contact anyone from anywhere. Today making an email address is no longer that adventitious, but today choosing a good email address name is difficult. Earlier, making an email address was quick because few people were online, and it was easy and quick to make an email id using your name, or, at least, using some letters with it. But today, with most of the initial addresses are already taken, unless you have a weird name, you are likely to be innovative to make one. Although it still requires little time and not that hard, my point is making an email ID was far easier and simpler earlier. 2- Do not take complicated personal email address name. Keep it simple. Start with your name. If your name is common, chances are it is registered by someone else. In such case use letters, numbers along with your name. Use number which you remember such as your birth year. 3- Keep your email address name little difficult so no one can hack. Ensure to use hard to guess a password. And never use the same password and email address. 4- Your email address should speak about you. Consider using the name and title of your profession on your email address. 5- A good personal email address name is different from work or business email address name. When you choose a personal email address, you can be informal. Choosing an email address is a little-complicated task if you are undecided about which service provider to choose. There are a good variety of ways you can choose an email address. 6- You can get your email address from Google. There are other service providers as well, which you can compare and opt from, but if you require a serious service provider with tons of feature to effortlessly use your email, it is recommended you choose Google. Gmail is a great service to manage, monitor your work and personal address. How to choose your personal email address? Ensure that your personal email address is your own, make it as much personal as you can, make it proof from a hack, use easy to remember a password and email address. While making an email address, ensure to key in recovery address which is known to you and which you can access. It is always important that if you are using Gmail, you enable protective features. The features will help you stay protected from hacking. Other email service providers also have different security benefits. The point is if your email address is secured, your personal info stays secured. Choose a personal email address with easy to remember initials and name ideas. Has it secured by enabling security features? Ensure you are registering your email address from renowned email service providers. Do not choose a bad or common email address, choose a password which you can remember. These are some of the improved measures to ensure your email address is secured and that you can easily stay protected from hacking. Choosing an email address is easy if you know how to choose one, and how to ensure its management. Best free marketing tools for email marketing campaign. These all are the tips to pick a best email address name for your business or personal use. Thank you for reading our blog. If you want us to cover any idea, please write to us. If you want to read our earlier articles about blogging, please browse the website. 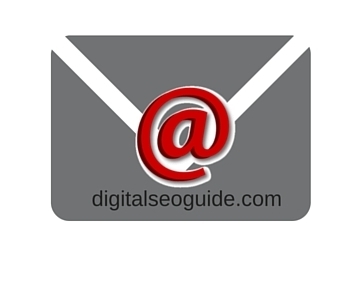 If you know more ways to choose best email address ideas for business then please share with us. We are happy to introduce you to improved types of new topics about digital marketing. But for that, we need your support. Please write to us, and do not feel shy sharing our articles. Great post, informative as well.